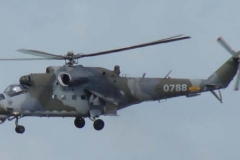 When the Mi-24 first appeared, it must have been a great shock to NATO. 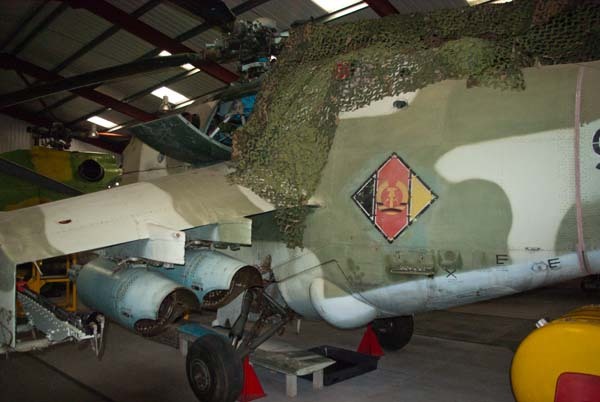 Here was a heavily armed and protected battlefield helicopter, that could go hunting for NATO AFV’s and helicopters to destroy. With the ability to provide its own suppressive fire and land troops, a very impressive ‘all in one package’. During the Cold War, both sides copied and improved on ideas from each other. 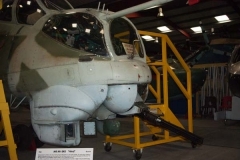 So after seeing the success of the AH-1 Cobra and ‘Huey Gunships’ against the Viet Cong and the PAVN during the Vietnam war, they took the idea of a ‘gunship’, and improved it, by making it a self contained gunship and troop carrier.. 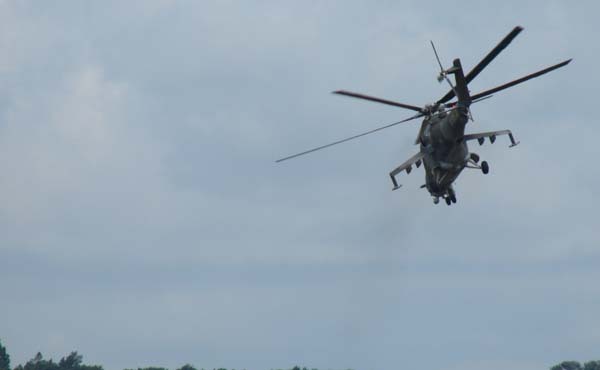 The ‘Hind’ proved itself in Afghanistan, where, until the Mujahideen were equipped with Stinger SAM’s, it dominated the battlefield, as ISAF’s AH-64’s do today. Designed as an idea developed by the helicopter creator Mikhail Leontyevich Mil in the 1960’s. Initially, there was no interest from the military, but with polictal backing and with the successful use of ‘Gunships’ by the USA in Vietnam, the military could see what a useful asset a ‘Gunship’ could be. 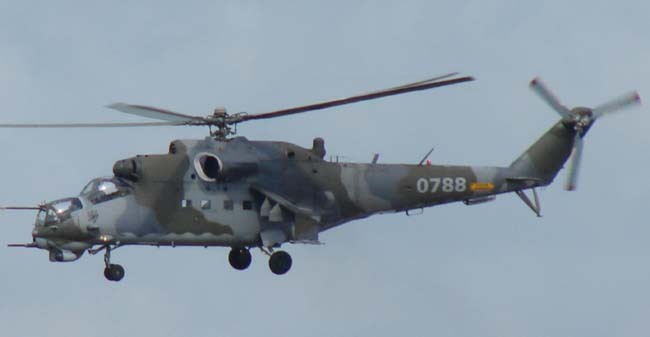 Design work started in May 1968, and by 1970, the first Mi-24A’s were rolling off the production line. In 1972, it officially entered the ‘Arsenal’ of the state. 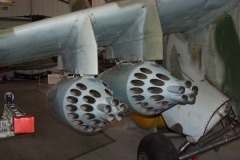 The Mi-24 and its varients have been involved in many conflicts, both during the Cold War period, and after. The most ‘public’ being its use in Afghanistan. 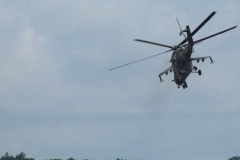 A list of conflicts that the Mi-24 has been used in can be found http://en.wikipedia.org/wiki/Mil_Mi-24. 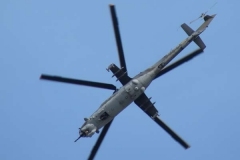 Syria Air Force Mi-24A(?) Late 70’s to date? 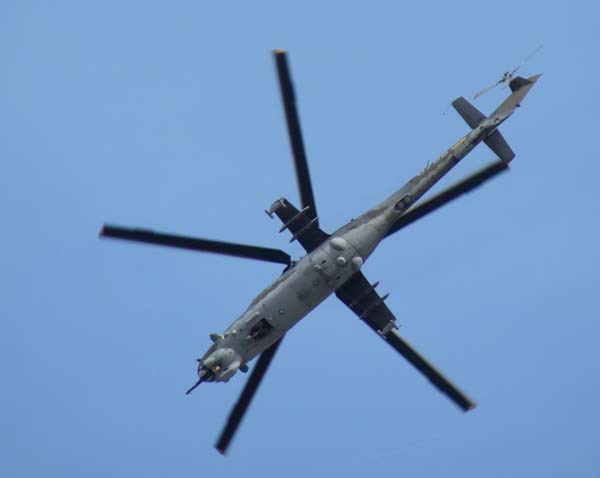 Vietnam Air Force Mi-25 (?) Mid 80’s to date ?